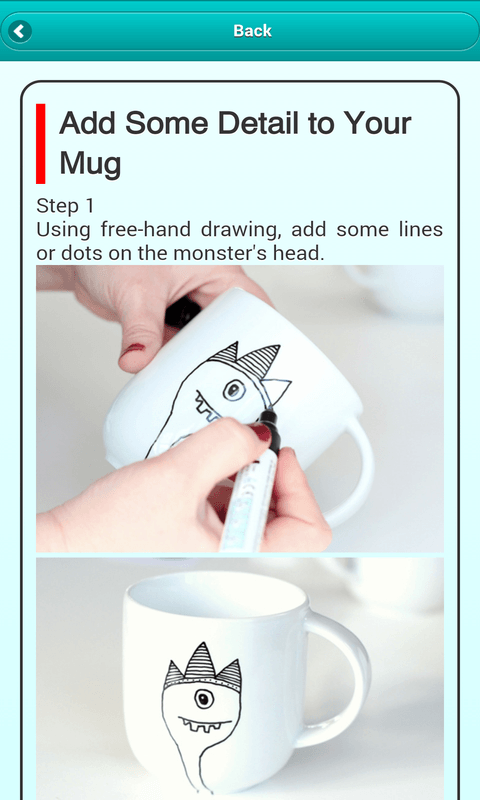 Take on a new arts and crafts hobby: mug painting with Handmade Mugs app! Entertaining artistic activity for all ages: from kids of kindergarten age to adults! Handmade Mugs is a collection of designs and techniques for painting ceramic or glass cups and mugs, amazing looking drawing ideas even for people who are not good artists. Create professional-looking designs on your cups as gifts for your family and friends! Fun DIY design ideas with acrylic paint, markers, stencils, etc. for creative people!